The nation is set to celebrate the 48th Victory Day on Sunday to pay deep homage to the martyrs who laid down their lives for the country. 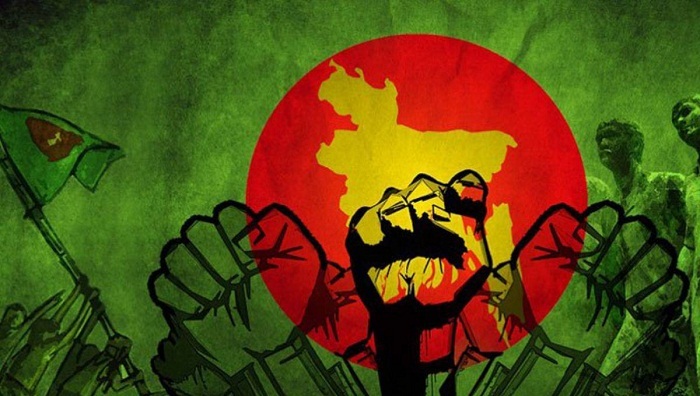 On this day in 1971, Pakistani occupation forces surrendered after a nine-month war resulting in a free, independent and sovereign Bangladesh. The government has chalked out different programmes to celebrate the 48th Victory Day. He expressed the hope that people will elect honest, capable and patriotic candidates in the upcoming election and continue the development and advancement of the country. “Let the glory of democracy be strengthened through festive mood of election,” said Abdul Hamid. The celebrations of the day will start with 31 gun salutes. President Abdul Hamid and Prime Minister Sheikh Hasina will pay tributes to the martyrs of the Liberation War by placing wreaths at the National Mausoleum at Savar with the rise of the sun. However, there will be no parade at the National Parade Ground in the capital due to the national election. Besides, different socio-cultural and professional bodies and institutions, including Bangla Academy, Shilpakala Academy, National Museum, Muktujoddha Jadughar and Bangladesh Shishu Academy, will observe the day with elaborate programmes. The national flag will be hoisted atop government, semi-government and private offices as well as offices of autonomous bodies across the country. Important buildings and establishments will be illuminated at night. Important roads and road islands will be decorated with miniature national flags and colourful festoons. National dailies will bring out special supplements. The state-owned and private televisions and radios are airing month-long special programmes highlighting the Liberation War. Receptions will be hosted to freedom fighters and family members of the martyrs at city, district and upazila levels. Special prayers will be offered in mosques and other places of worship, seeking salvation of the souls of martyrs of the Liberation War and peace, progress and prosperity of the country. Destitute children will be allowed to visit children’s parks and other recreational centres across the country free-of-cost. Bangladesh missions abroad will also celebrate the day through different programmes.